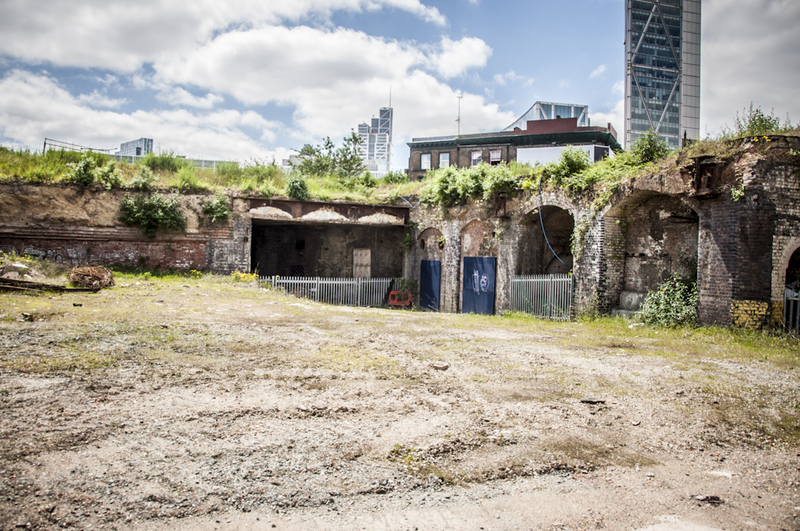 The Society is assisting with the generation of a community vision for the Bishopsgate Goodsyard to guide future development of this important, strategic and publicly owned site for the benefit of the local community and London as a whole. This “alternative vision” aims to collect and coordinate ideas from residents, businesses and other local stakeholders that will be presented to the local authorities and to the GLA to inform a new masterplan for the site. All further ideas are welcome. Please contact us with your thoughts and comments. Key worker housing. This is the site, being effectively state owned and closest to the City, that can best be developed to provide housing for firemen, train drivers, paramedics, bomb disposal experts and whatever other emergency services that the City may require at very short notice to attend on events or catastrophes within the City that are presently obliged to travel in from the suburbs at best, and generally much further. Use of the railway arches to support the night time economy with music/club venues as these premises are ideally suited and located for such venues being contained within massively weighty construction, close to a great network of existing bars and restaurants and with excellent public transport facilities. If you cannot put them here, then where can you put them? Develop a small independent business cohort (as developed in Paris) to gather mutually supportive businesses within single working areas. Offer them continuity, security of tenure, predictability of rent and ability to grow within the “estate”. Develop a centre for the East End Artisans and Trades. Establish a school for artisans, trades, and craft workers involved in building conservation, furniture, woodworking, metal work and mechanics. Concentrate small business, commercial and retail units on the ground floor to create a more humane scale, greater diversity and vitality and greater visibility and accessibility for younger and smaller start-up businesses at street level, locating larger businesses, etc, on upper floors. Provide significant workspace for the Tech industries of a layout that allows companies to grow, possibly dramatically, without having to move. Such buildings to be economic, flexible and sustainable in their technology and layout, eschewing ostentatious and wasteful reception lobbies, board rooms and costly and unhealthy air conditioning systems. 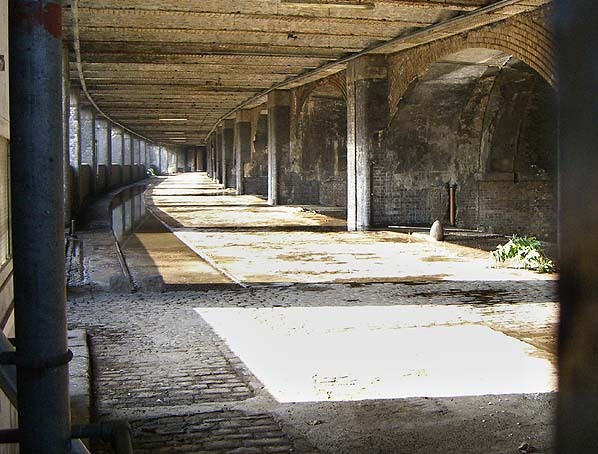 Maximise the scope and the public accessibility of the green space offered by the park over the Goods yard arches. Do not populate or dilute it with further buildings or extensive hard landscaping. Learn lessons from such multi-functional residential, cultural and business spaces such as the Barbican. 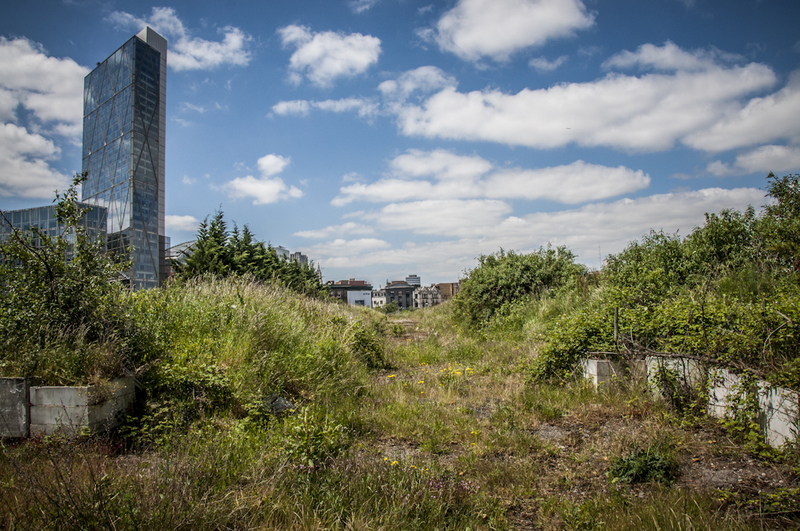 Adopt a 100% green roof policy over the whole development. Bridge open space and gardens over Brick Lane to connect with Allen Gardens and beyond to create a linear park of much greater scale by linking existing areas of open space already in place and creating a wild life corridor. Adopt ideas developed by the 2012 “A High Line for London” competition for the development of open space in the Goods yard. Develop the Bethnal Green Road along the north side of the site with a series of 8 to 10 storey “office” buildings to match, reinforce and support the character of the Tea Building and the forthcoming London & Newcastle development, linking closely and sympathetically with the north wall of the Goods yard, to create a robust and urbane working environment for the continuing expansion of the media, fashion and tech industries. Develop a far greater degree of permeability onto and through the site that might incorporate additional pedestrian crossings over the railway lines, connecting existing north/south routes through Spitalfields to the south of the site with their counterpart routes to the north of the site in Bethnal Green, off Redchurch Street and through the Boundary Estate. The developer has referenced the Barbican in their justification of the scale of the project and the height of the residential towers but has failed to offer any of the cultural facilities that make the Barbican development such a valued part of the City of London. A Tower Hamlets “Ideas Store”. A mini Eden Centre for Smart Cities. A Tech City Business School. A museum of railways and of the Goodsyard itself. A museum of immigration and the East End. Retention of London Road in its current roofed over and mysterious form as a unique urban environment, not to be sanitised to suit conversion to a typical shopping mall environment by removing sections of the “roof” as this destroys both its character below and loses valuable green space above. Acceptance that what remains of the historic fabric of the Goods yard will be retained and repaired in its entirety and not further demolished and adapted to suit commercial expediency and random visions of want might be marketable or attractive. Work with what is there. 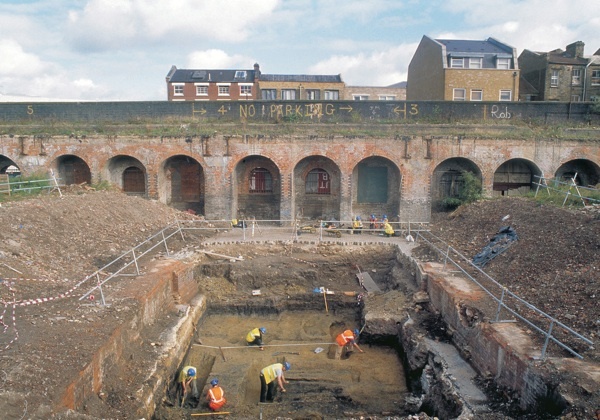 Reveal and emphasis the distinct identity of the Goods yard by reference to the historic structure and remaining historic spaces so that the resulting development can once again tell the story of this significant element of East London, linking it with the story of Spitalfields, Brick Lane, Shoreditch and the Boundary Estate for example. The future is not the future is it loses its past. Develop a highly articulated, green and populated roof scape. Everything that faces north is commercial. Everything that faces south is residential. The Goodsyard site to be established as a parish in its own right with community lead governance. The City takes ownership of the site from the state in some form so that it might be developed to address the pressing residential, business, transport, cultural and social challenges of the City. All further ideas are welcome. – Please contact us with your thoughts and comments.